New Directions Publishing Corporation, 9780811213028, 142pp. 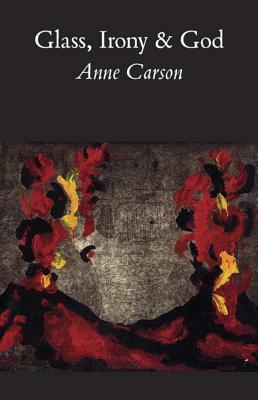 Known as a remarkable classicist, Anne Carson weaves contemporary and ancient poetic strands with stunning style in Glass, Irony and God. This collection includes: "The Glass Essay," a powerful poem about the end of a love affair, told in the context of Carson's reading of the Bronte sisters; "Book of Isaiah," a poem evoking the deeply primitive feel of ancient Judaism; and "The Fall of Rome," about her trip to "find" Rome and her struggle to overcome feelings of a terrible alienation there.